With storms hitting the Norfolk coast a few days before the event it occurred to me that maybe I should have bought a waterproof jacket. With only 15 hours before the start I had very limited time to get one organised and limited options. Luckily I saw on twitter that Colin from @RaceKit were going to be running and I wondered if they would consider bringing a jacket to the start line. An email and quick phone call later all was organised – great service guys. This is an out and back race, starting at Kelling Heath, heading north to the coastline and then following the coastal path to brancaster. Where you turn around and come back the way you came. I have a tendency to make a few wrong turns, but this is the first time I’ve seen all the runners get lost at the start of a race. Following the leaders we took a couple of wrong turns and ended up at a main road. Someone got out a compass and discovered we were heading south and away from the coast! Some people had crossed the road and were heading inland. Not a good start. I think we must have added a couple of miles on. 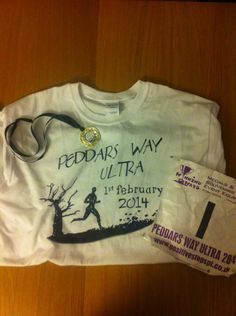 Will Hall has written a blog post about his experience of running this ultra. And by good fortune I met him the week before at Mulbarton parkrun. His advice to me was to walk the shingle. Saving energy. There’s plenty of opportunity to run later. I took this on-board and power-walked this section. It was still tough going. I tried not to think about how it would be on the return leg. Checkpoint 1 was in the car park at Cley, a quick stop for a jaffa cake and water refill and on to Cley. Passed the windmill, through the village and out onto a raised pathway. I had small stones from the shingle in my shoes but decided not to stop until the next CP. Around this time I met a runner who was doing the same pace as me. Justin had marshalled this event a few times and was now attempting to run it, his first ultra. We ran together on-and-off for much of the race. By the time I got to Wells I was tiring and I was dismayed to find that the CP wasn’t in the town, but at the end of the road out to the beach. This was a good thing on the way back though. The next section was 4 miles along the beach between Wells and Holkam, I expected this to be tough but actually the sand in a lot places was fairly compact. I walked much of the loose sandy sections, then ran across the dunes. After the dunes the path proceeds inland to Burnham Overy. The checkpoint here was a Landrover where I stopped briefly for refills. Long slog, going on for what seems like forever. Whilst travelling on this section the leader passed me heading the other way – going at a good pace, he seemed very up-beat too. I had a dropbag here. It was the first time I’ve used one and it was so nice to be able to change socks and tshirt. I didn’t change my shoes (I had Vivobarefoot Neo Trails in the dropbag) – in hindsight this was a mistake, but I didn’t pre-empt the amount of rain we were going to get over the remaining 50km. I realised I hadn’t eaten much so far so tried to remedy that. After 20 minutes at the CP Justin and I headed out, leaving it this long meant I’d started to seize up – I popped an ibuprofen and after a few mins this seemed to help. Getting back to the Landrover CP the rain intensified and when I got there I put on my new waterproof jacket, had a quick coffee and headed off. Back in the dunes at Holkham I tried in vain to find the route I had taken earlier, managed to get a bit lost. The blue line is my return route. This is the winners route, as you can see he didn’t get lost. At dusk the head torch was turned on, there were a few times when I was navigationally challenged, but didn’t go far wrong. Conditions under-foot were deteriorating and my trainers weren’t really too suited to the job, I tried to pick a line where there was the most amount of grip. I did come a cropper a couple of times. I hit a high-point around here which lasted until the end, so was able to keep my pace up (relatively speaking). From this point on I was overtaking people and no one overtook me. This felt good. I arrived at the Cley beach checkpoint to be told that the police and bomb disposal squad had closed part of the beach (more info http://www.eveningnews24.co.uk/news/update_cley_beach_re_opens_after_bomb_squad_carries_out_explosion_1_2879321). Thankfully the beach was only closed in the westerly direction. I only stopped long enough to fill a water bottle. Leaving a few more people who were gathering strength before hitting the shingle. I power-walked this section again. A pillbox on the beach is the landmark to navigate to the exit off the shingle to the path. But because of cloud cover it was a particularly dark night, my headtorch was struggling to illuminate the shoreline. I caught up with another runner who was worried he’d missed the route off the beach. After checking the map on my iPhone it looked like we had about half a mile to go. We shouldn’t have worried as the route was marked with glow-sticks anyway, been good if they’d told us that at briefing. Off the beach and I was determined to cover the last leg as quickly as possible. I felt like I was really on the home straight now and didn’t want anyone to catch me, I kept up the pace and slogged my way to the finish. 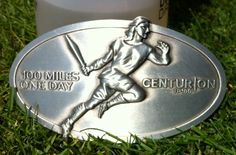 I finished 19th from 36 finishers in a time of 13 hours 48 minutes. I’m very happy with that. Black toenail. I think this was due to wet feet, I should have kept the drymax socks on, but changing socks at halfway felt good at the time. Chaffing under each arm, I think this must be my new jacket. I’ll need to remember to lubricate here on the next run. I abstained from caffiene for 10 days prior to the race. I then used clifshot double espresso gels for the last 15 miles. I think this worked well. Having a change of t-shirt at halfway is essential for me. It was nice to be able to change socks at the halfway point, but in hindsight I should have kept the drymax ones on. Thanks to AdvetureHub and their volunteers. Thanks to Justin for being a companion over much of the event. And thanks to RaceKit for the last minute jacket delivery. I also did the Norfolk this time, well done with your time, I was a couple of hours slower. 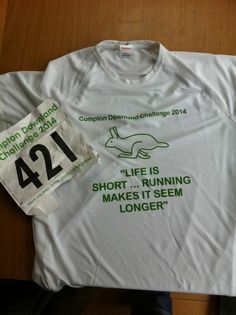 The guy that got out the compas was my brother (doing the marathon). All in all I thoroughly enjoyed the day even the heavy rain.